Deng Xiaohua, the author behind the Can Xue pseudonym, was born in Changsha, in China’s southern province of Hunan. Her father, the one-time editor-in-chief of a prominent newspaper in the province, was labelled an “Ultra-Rightist” in the late 1950s along with other intellectuals of the period, and was sent to the countryside for two years for allegedly leading an anti-Communist group at the paper. For a taste of what that all means, you can find an excerpt of Annelise Finegan Wasmoen’s English translation of Love in the New Millenium here. And you can buy Can Xue’s Love in the New Milleniumin the US here. 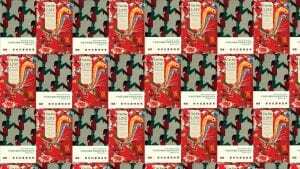 The 2019 Man Booker International Prize’s long list of 13 novels will be reduced to a shortlist in April, with the winner set to be announced on May 21 in London. Posted in Literature, News in the field, Translation	Bookmark the permalink.